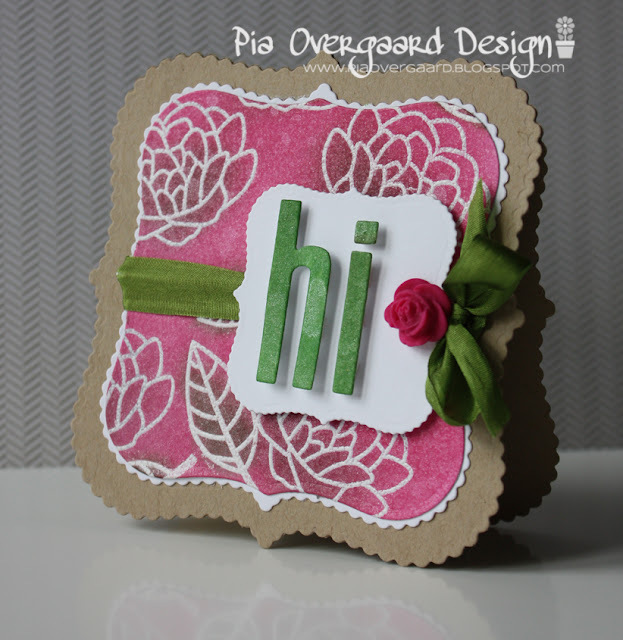 Hot pink is a refreshing color amongst the autumn colors ;) I made the background by randomly stamping the flowers and leaves from the Flutter By set by Lawn Fawn in versamark ink and then white embossed it. I used pickled raspberry, walnut stain and mowed lawn to color in the background and then finally sprayed the whole piece with pearlized water for some shine. The card base is made of bazzil kraft cs - die cut with the new cute Scalloped Labels 1 - love this! The rose is made by me a long time ago - finally it found a place on a card! 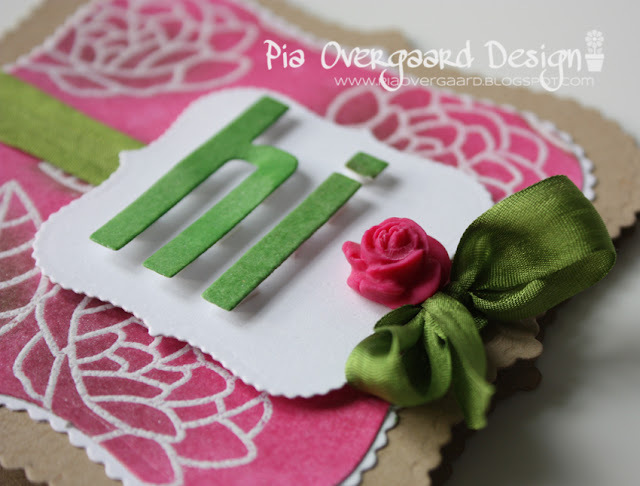 The HI letters are die cut with MFT High Rise Alphabet. Have a great Sunday and thanks so much for stopping by! Hvor er det smukt, Pia... ser godt ud med de store bogstaver.